I’m still without a replacement Ferrari but it’s not for want of trying. I’m staggered by the number of times I have called about a car, expressed an interest in viewing only to be told the sales person will have to call me back. I make a point of ensuring they know I am a serious buyer with cash ready to spend on the right car. Do you think the call comes back? Hardly ever! And some of these guys are big names for independent Ferrari dealers. I would understand if the cars I phoned about were selling but they are still listed in the classifieds. 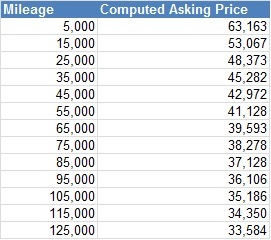 One thing I’ve been trying to look at since last month is showing how the asking prices are distributed. 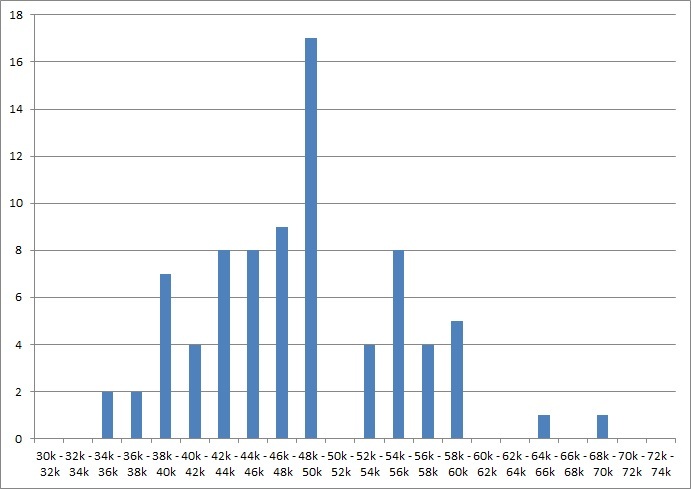 As such I put each asking price into a £2k bracket and plotted a crude histogram. As you can see prices are highly concentrated in the late £40k’s. That’s it for now – please let me know if you want any more info from the data. Some good info … but I do not see the variable, year of manufacture. 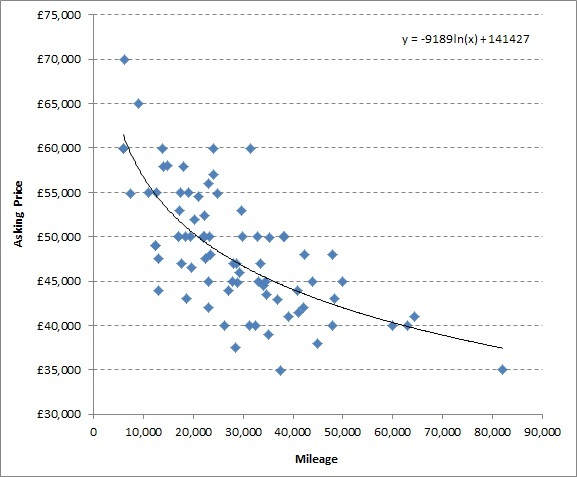 I would think that not only mileage plays into the asking price, but also the year. 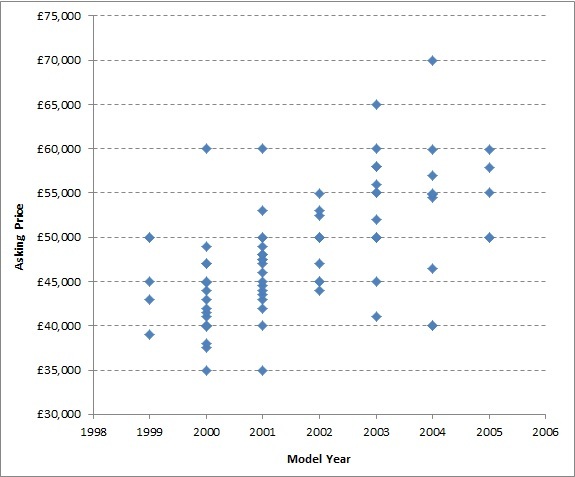 Hi Steve – as requested I have updated this post with the chart of model year plotted against asking price.